This entry was posted in Medicine and tagged intern, intern training, internship. Bookmark the permalink. Totally agree..i dunno bout others,but as for me..working hours currently is suitable (6am to 6pm or 6am to 12pm the next day) and good enough..what i’m asking is actually teaching from our beloved specialists..i also dunno bout others,but as for my training hospital,i’ve considered myself lucky as specialists are willing to take half to an hour a day for teaching whereever possible (during op,during rounds,during teatime,in pantry or even in toilet) and i can tell that myself n my colleagues are yearning for more..i dont care if they scold or yell at me as long as they are teaching me..teaching is part of training..
Be careful with the words you use.., what do you mean by ‘I don’t care if they scold or yell at me as long as they are teaching me’?.. I sincerely hope it is a figure of speech because they are a lot of confused people who are taking that sentence literally as a form of bullying. I beg to differ. I don’t think you qualify to say this unless you yourself have worked in another country whose system is more developed than ours, such as Australia, NZ, UK or Japan. I do agree that each country’s system is designed in such a way so as to suit their local demographic and cultural needs, but there are points of similarities that our system can badly learn from the internship systems in these developed countries. To begin with, I don’t understand why are there interns/housemen in Malaysia who are willing to be beaten and abused like lambs before the butcher, even if, like what HO said above, “they scold or yell at me as long as they are teaching me.” All I can conclude is that mental health awareness in Malaysia is very poor. In Australia, as much as the mental health of patients are given priority, the mental health of interns and healthcare professionals are given equal priority. There are counsellors, exhaustive feedback systems and support units especially for interns, GPs and healthcare professionals who are suffering from mental health issues. With all respect, if a senior health professional is being abusive, even verbally, towards his/her subordinates, the subordinate has every right to complain and action WILL be taken against that senior health professional. In Malaysia, the complainant gets isolated by his/her peers, gets earmarked for more abuse or sabotage, and is deemed an incompetent doctor for not being tough enough. There is no such thing as being mentally tough or not for a doctor; doctors are still HUMAN with emotions. Is it so difficult for consultants and senior healthcare professionals in Malaysia to start treating their housemen/subordinates with a little more dignity and respect? Why the abuse, even if verbally? Are doctors in Malaysia less human than in Australia, that their rights to good mental health can be ignored just like that? Is it wrong to compare the way interns are treated in Malaysia with how they are treated in Australia, NZ, UK, Japan etc. because there is a difference in the ‘society and healthcare demands’ (to quote you) in these countries? I’m not alone in thinking like this. You are welcome to speak to some healthcare professionals from Malaysia who are currently working in Australia, NZ and other developed countries about this, in particular those who have completed their housemanship in Malaysia and have migrated to these countries. A majority of them, I can assure you, will point this out to you and tell you that many of them also once thought that the Malaysian system and way of doing things was the best, until they saw a better system after migrating. I don’t know where are you coming from, but do consider spending a stint of work in Australia perhaps to see the truth behind what I said, if you haven’t already done so. Thanks. I have worked very briefly in a hospital in London prior to completion of my membership exams. I remember the working environment which was very conducive for doctors to train and progress. And that is something for all countries to emulate. I have never worked in Australia but I will take your word for it that you treat your interns well and that harsh words are rarely heard along the aisles of your busy wards if compared to mine. You took one sentence from this blogpost and came with the conclusion that I condone bullying of interns in Malaysia as a necessary evil for their training and I don’t need to compare with other developed countries with advanced healthcare system in this regard. And that I feel we don’t need to improve on this count. I completely disagree. This is not what I meant by the difference in the ’society and healthcare demands’. I meant the working hours of the doctors. Did you even read this article fully I wonder? I believe good constructive comments must have context and comprehension to the written article. The above paragraph was my description of bullies in the healthcare system. And I have told you how to handle them. Be strong and stand up to them. It is prejudiced to say complainants are treated badly if they file complaints against their superiors in Malaysia. If that is the case we would not have have so many revisions to the training of house officers in Malaysia whose complaints and criticism of the healthcare system have been taken into serious account. We have had action taken against several consultants and specialists in my own hospital when they treated interns and doctors beneath them badly. They don’t go unpunished. The house officers who filed the complaints have now completed their internship without any issues or prejudice against them. Counseling sessions are readily available for house officers if they can’t cope with the demands of their new environment. You are free to give constructive criticism but I will not stand my country being put down for inferior values and morality compared to yours when it’s based on delusions and baseless accusations of others. The laws are there, similar to what you have in your country and they are being enforced. I followed up by saying this, “ And then there are those who push you hard, to become better clinicians and a better person. Their methods may vary but they have your best interest at heart. They are not bullies. And you should have the wisdom and the mental finesse to know the difference”. I believe this applies to you and your friends as well. Know the difference between constructive criticism and bullying. Unfortunately, that requires a discerning mental capacity that many lack. InternationalLiving.com’s annual Global Retirement Index ranks Malaysia as third best in terms of providing the best and most affordable healthcare in the world. I quote ’Medical expertise here is equal to or better than what it is in most Western countries’. We are only behind France and Uruguay. I leave the link here for your reference. None of the countries you have mentioned are above us. So we must be doing at least a few things right here. No hard feelings. Finally I said, “Do not demand for lesser working hours. Instead demand for better training and teaching. Expose the flaws in the existing system which interferes with your progress as a clinician. Take your superiors to task for not living up the expected standards. Drag those who hide behind the veils of bureaucracy into the light. Don’t allow the paper pushers and keyboard warriors change the course of your destiny. It is your right to become the best doctor you can possibly be. Don’t let anyone tell you any differently”. This is the area we are still lacking in Malaysia compared to the developed countries. 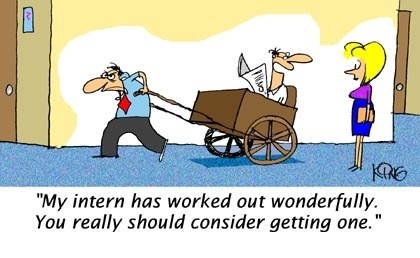 Proper and structured training of interns. We are still short of senior doctors in most hospitals with an abundance of house officers due to policies made by politicians and paper pushers who have no idea how training of doctors are supposed to be conducted. And we continue to implement these policies which puts proper clinical training of house officers in jeopardy. And I have urged the house officers to stand and demand for better training and teaching. We have a long way to go in this regard. That I do admit. And if you read carefully, I encourage them to take their superiors to task if they don’t live up to the perceived standards. Finally, I would like to say this. I stand by what I have written in this blog which is why I have used my real name instead of a pseudonym or a nickname. Have the decency and the courage to do the same if you believe in what you have written here. We all would like to know who you are. There is nothing to fear since there is no prejudice or persecution where you reside. No hard feelings once again. Cheers. Your thoughts are illuminating and most encouraging to interns. My wife and I were initially appalled at the working hours our daughter (an intern) had to endure – as long as 36 hours at a stretch on a particular rotation. But she has coped reasonably well. Bullying and condescension by superiors is a sad but true reality, though it is not rampant. This does more to emotionally drain young trainee doctors than the work-load and long hours. Your point about focusing on the years beyond the internship is what we continually ask our child to do. This too will pass, we reassure her. I couldn’t agree with you more that Malaysia has one of the most humane healthcare systems. No one needing is turned away from public hospitals.